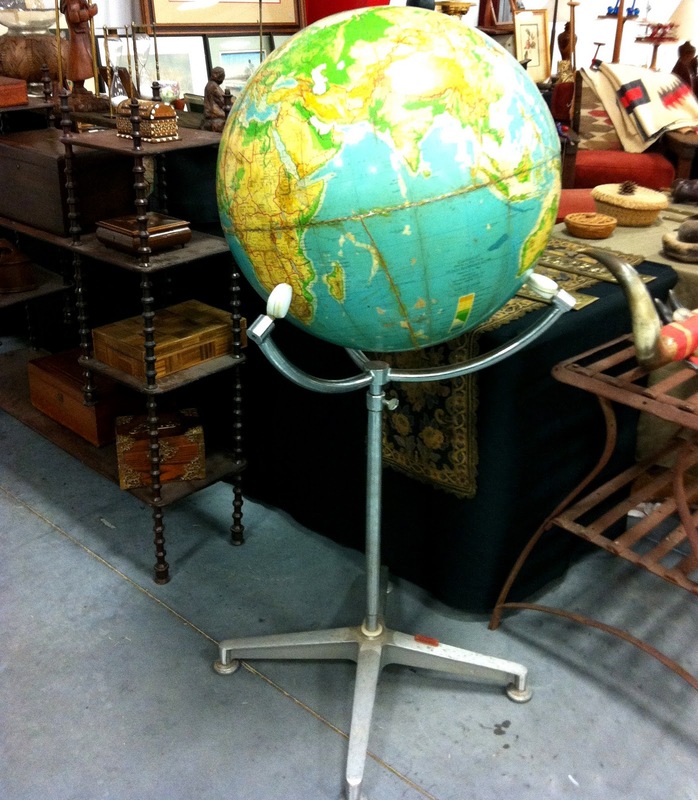 Saturday Jeanetta and I went to an Antique show, which was more like being a big, clean flea market. 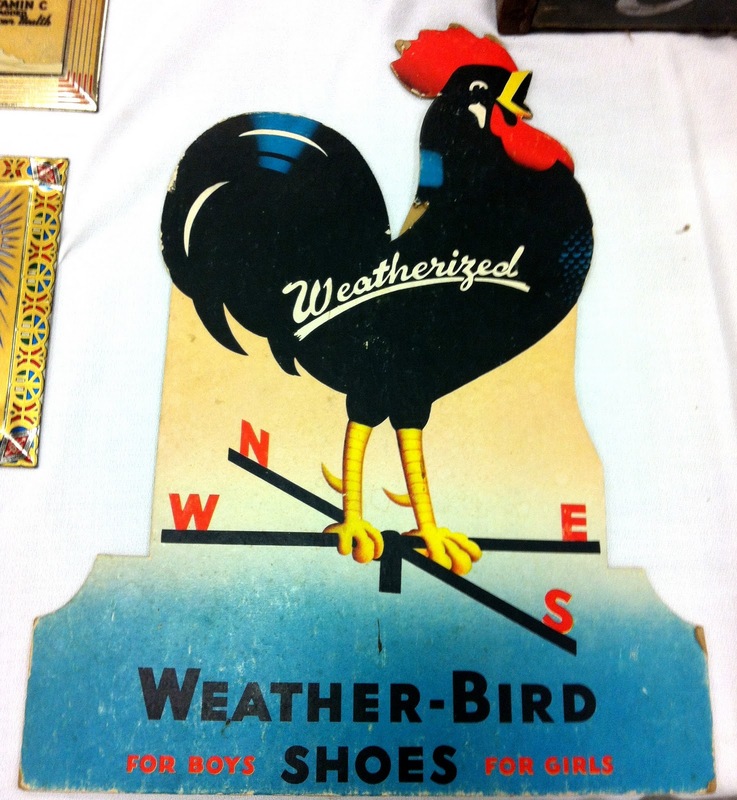 There were some antiques there. And there was some stuff from Wal-Mart and then there was the stuff in-between. The stuff I like. I didn’t buy anything because frankly I do not want to buy anything else that I might have to pack. Instead I took pictures, They travel light after all. My grandparents and subsequently my mother always made Brains -n-Eggs for Christmas morning breakfast. I never ate it. Well, maybe once. Brains scramble up gray. I’m sorry, it’s just gross. The past few years we have had to listen to my mother lamenting her beloved and belost (pork) brains. See you can’t get ’em anymore. Something to do with how they slaughter pigs nowadays. Lovely thought each and every Christmas morning, don’t you think? It kinda makes me giggle imagining all your faces as you think about eating pigs brains. 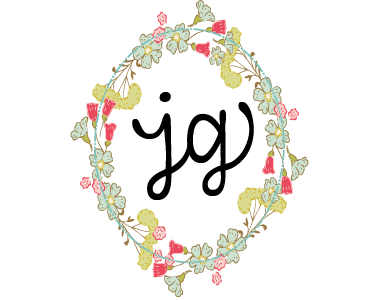 You may see pounds of useless granny doilies. I see pounds of embellishments. Bits and pieces I could turn into scarves, patches on sweatshirt elbows, flare from underneath short skirts. 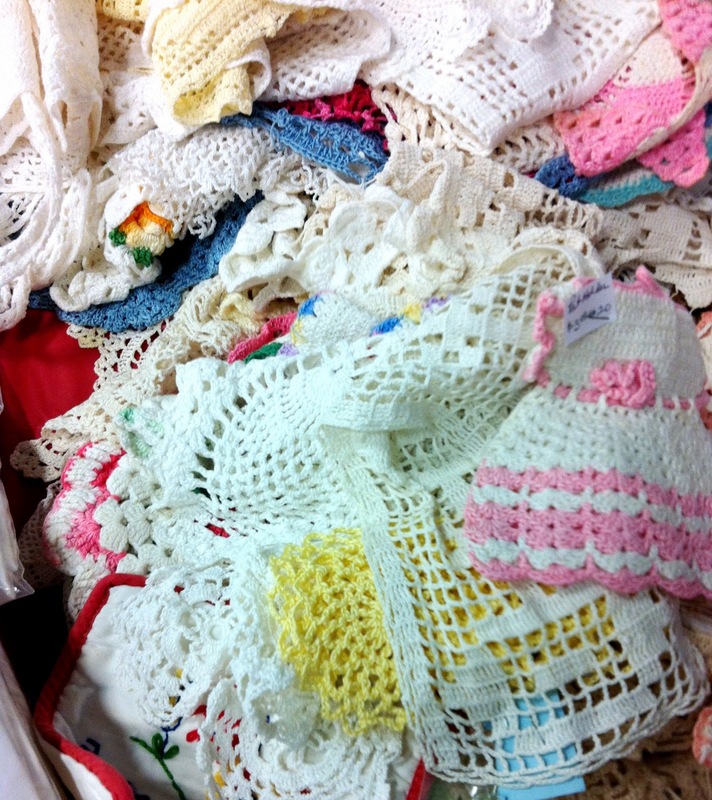 If you ever are cleaning out your grannys doily collection I give you permission to bring them to me. Everything in this picture came from a local shop in Conway. A retired military couple hops amry flights to Belgium, Germany and France a couple of times a year and brings home suitcases filled with linens to sell. Not a bad gig huh? And yes, I want it ALL. 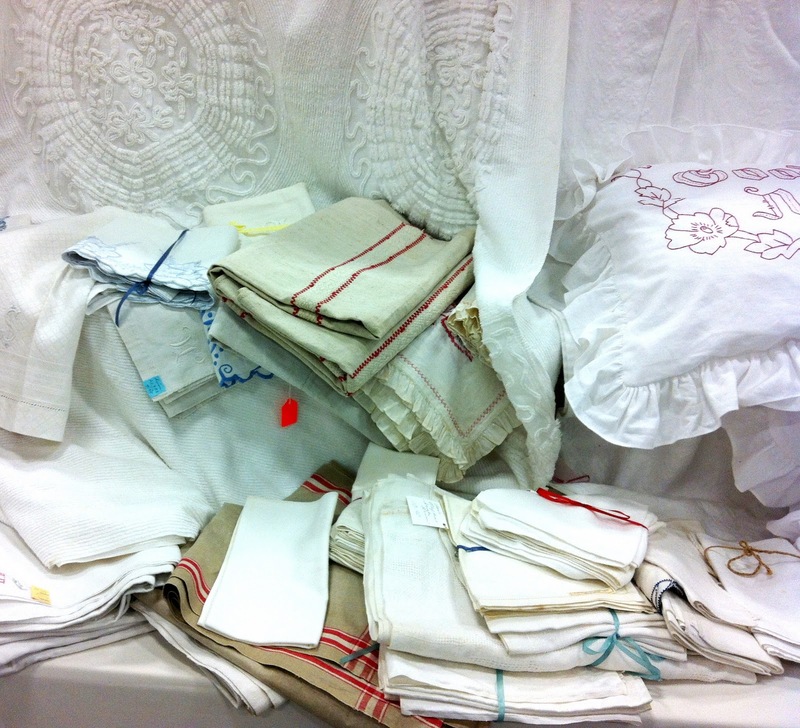 Especially that coverlet. This made me drool. Nuf said. I rarely played with dolls or Barbies growing up. I was more into life-size pretending. 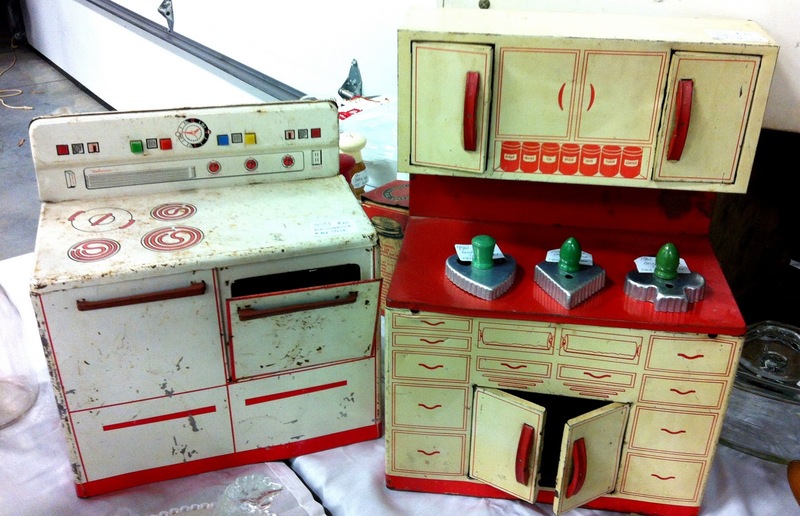 But now that I am old I adore vintage doll treasures like these kitchen pieces. Actually, I think I just want life size versions of this stove and cabinet for my current kitchen. 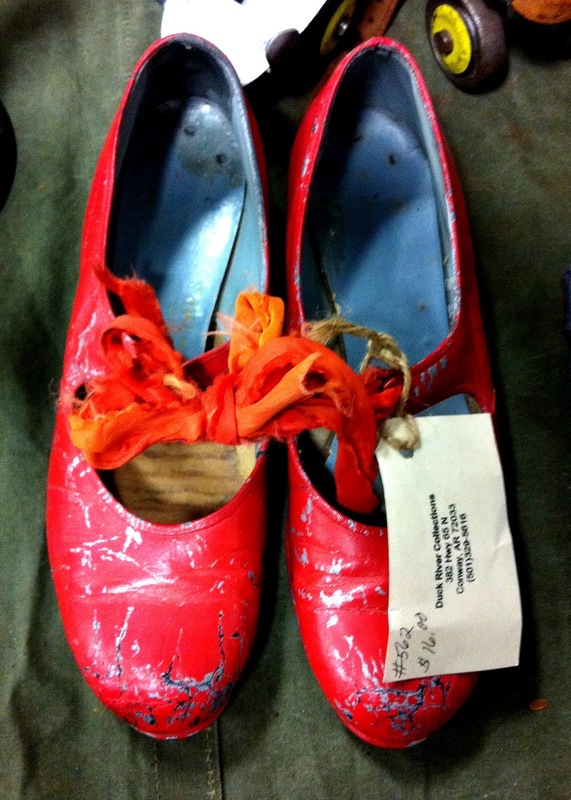 I have never seen the movie The Red Shoes but that is what came to mind when I saw these. What is it about red shoes that is so darn magical? I dream of having a ferris wheel someday. Not a mega one. Just a regular one. A small one. 10 baskets or so… Surely that’s doable. I hope some of my random finds made you smile today too. 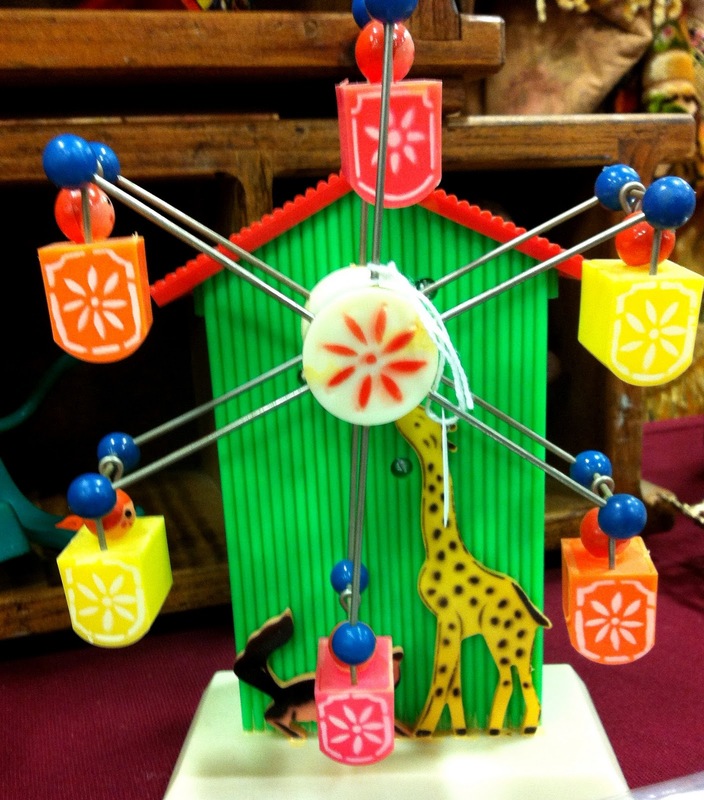 Just love the toy kitchen pieces – what a great find!!! 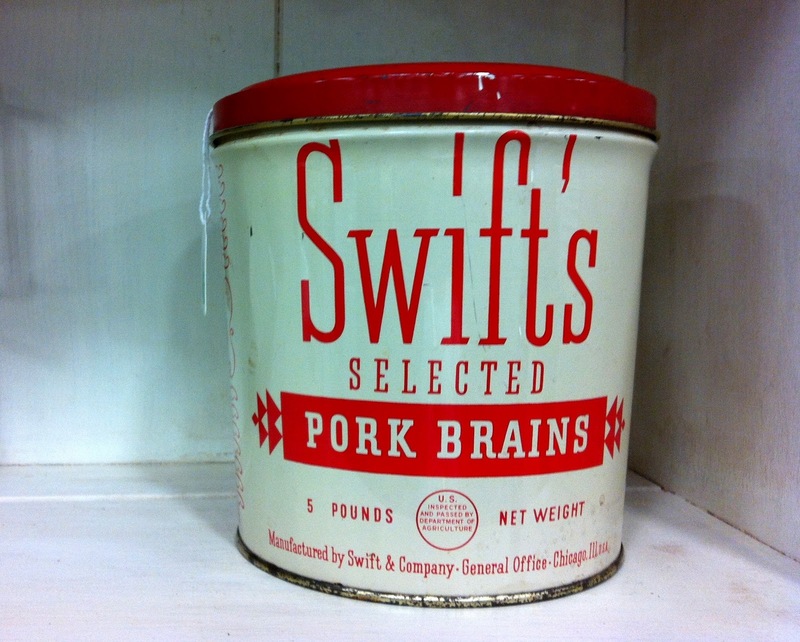 Pork brains? You did the right thing, Jerusalem.